Hosting bespoke private classes is one of my favourite things to do. Not only because the content is specific to that student(s), but I also get to continue the relationship after the class with the support calls. Watching the student grow and develop themselves is a wonderful and awe inspiring experience for me. It’s always exciting to see the dots connect in someone’s mind when they understand a technique or principle more in depth. When they see it in action and correct a mistake they have been making for so long. When they get that long awaited answer, a solution and they’re so happy. After the class, they post photos on Instagram or Facebook, and their progress is unbelievable. Of course, it takes the desire on their part to keep going when they get home. And then six months later, the content they are posting is far beyond what I have taught them. That’s why I love how I teach, I teach techniques and principles. The recipes I teach people are springboards and they use them to leap into all sorts of areas I couldn’t have foreseen. My students inspire me with their creativity and fortitude. The way I see it, everyone learns differently and everyone is at different stages of their learning process. It’s a long journey and, I’d say, a never ending one. Does an artist everstop changing and growing? No. An artist changes their style, uses new mediums, finds different inspirations in life. As long as they are equipped with the tools and experience needed, they can go in any direction they want with their art. Raw chocolate and desserts are no different. You might decide dedicated one-on-one training will help you learn faster. Or that you learn better and feel more motivated when doing it with a friend (not to mention it’s fun too). Or there might be very specific problems you need help with. Or it could just be, you want to learn how to make the ultimate raw cake or dessert for that special occasion. Whatever your motivation is and whatever your goal is, I want you to know I’m here to I want you to learn and educated so you feel confident when you’re at home replicating what we made in class or that you feel confident in your ability to alter a recipe we made together. One student from Italy requested a two day intensive to learn raw chocolate andcakes. She was just doing it for fun and because she loved it so much, she’s now in the process of starting her own raw business in Italy. One student from Australia, with vast cooked pastry and chocolate expertise, came to me to learn how to make the raw chocolate and pastry without the sugar, dairy, wheat and gluten. She also had illnesses that meant she couldn’t eat it’s cooked counterpart, so she was in heaven! Another woman wanted to host a fun chocolate making class for her daughter’s birthday as a special treat. She knew her daughter wanted to learn raw chocolate and they had a great mother-daughter day together. A good friend asked to book a session for his wife because he knew she wanted to incorporate healthy chocolates into her nutritional counselling business. One woman wanted to make refined sugar free chocolate her husband who recently discovered he was diabetic, but she had never worked with chocolate in any way before. Her husband adored the treats she brought home that day, as she danced around her house with joy ( true story ). I’ve adapted my pricing structure to make it more affordable for people who want to learn and experiment with family and friends at home. This class can be held at Amy’s HQ or at yours. 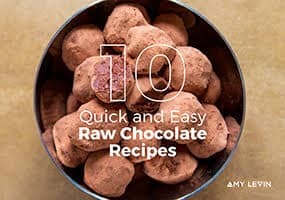 Having Amy’s raw chocolate courses on therawchef.com makes me so proud. Our students love learning about raw chocolate from Amy, because she’s so knowledgeable and methodical. Amy is an inspiring teacher and someone who pushes raw culinary artistry to the edge. Her sophisticated chocolates and elegant desserts were the cornerstone at all SAF restaurants during their opening years. I love Amy’s recipes, she is always creating and sharing so openly with all of us. What’s a plus, she actually uses weight measurements (thanks, Amy)! 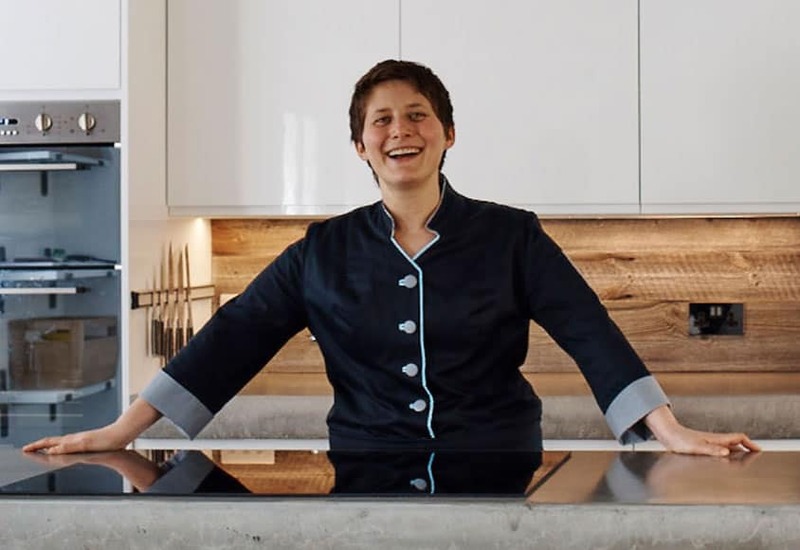 Amy Levin is a very knowledgeable and enterprising professional chef and culinary artist, whose creativity, organisational skills and teaching abilities are remarkable. I'd love to bring my family for a private class, do you teach children? Most definitely! Teaching children is one of most favoruite things. We’ll decide on a class ciriculum that suits the whole family and get you all hands on while you’re here so you can feel confident when you return home to implement it all. I'm toying with the idea of starting a new business, is this the best private lesson to have with you? This can act as a starting point for you, for sure, but to get the most out of our time together and serve you best, it’s best we speak before you book a class. Please use the contact page – click here – to drop me a line and let me know what your goals are. Do you travel internationally and teach private classes? Yes, I do. Please drop me a line using my contact page – click here – and we can arrange a call to discuss your needs and what’s possible. who you are and what you’d like to achieve. Book your free 10 min call today. © 2019 Amy Levin All Rights Reserved. Receive a new recipe each week and be at the forefront of how the world of raw chocolate and raw baking is changing. 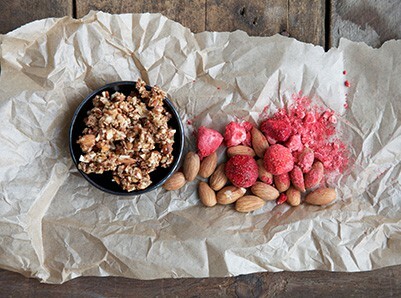 You’ll get insight to the latest ingredients, textures and flavour trends.